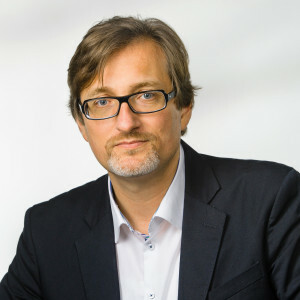 Bernhard Sommer teaches energy design at the University of Applied Arts, and has been a visiting professor at the Institute for Experimental Architecture at the University of Innsbruck, representative for Patrick Schumacher in 2013. He teaches building physics at the University of Applied Arts and the University of Innsbruck and holds seminars on sustainable design at the Technical University of Graz, the University of Cagliari and in the context of the Master Program Urban Strategies. He is founder and head of the architectural practice EXIKON arc & dev. The office specializes in the use of latest design technologies with the goal of early integration of scientific knowledge into the design process, such as the house Kern, where free-form design, file-to-factory strategies and FEM optimization of the structural design were combined. In 2000, he has been awarded the Arch + Prize 2000, in 2002, the Schindler Scholarship of the MAK Center in Los Angeles. There he developed the transforming „desert cloud“ project that later was exhibited in West Hollywood and Vienna. In 2006, he was awarded the price for Experimental Tendencies in Architecture. Galo Moncayo is an installation artist and architect currently teaching in the Energy Design Department at the University of Applied Arts in Vienna, as well as a Assistant Professor in the Experimental Architecture Department at Innsbruck University. He has exhibited throughout the United States including in New York, and in Germany, Mexico, Austria, Spain and has been invited as a visiting artist/ lecturer at Carnegie Mellon University, The George Washington University, among other universities in North America and in Germany, Mexico, Austria and Ecuador. Galo Moncayo received a Magister of Architecture from the University of Applied Arts in Vienna in the Zaha Hadid Master Class, a Master of Fine Arts in sculpture from Virginia Commonwealth University and a Bachelor of Fine Arts in sculpture from the Maryland Institute, College of Art in the United States.